Round Top Festival Institute houses a vast collection of rare and valuable artifacts. 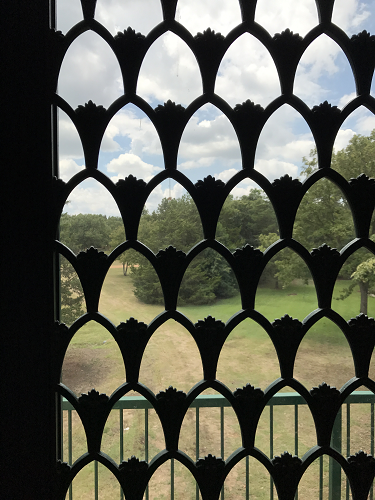 The large green cast-iron doors from the General Land Office (GLO) in Austin which are installed in the Bybee Library at Festival Hill were saved from the James Earl Rudder State Office Building, a historic office building in downtown Austin. Finished in 1918, the five-story structure features 18-foot ceilings and terrazzo flooring. The eight-foot double doors are in a fretwork style and a three foot arched transom with matching iron work above. 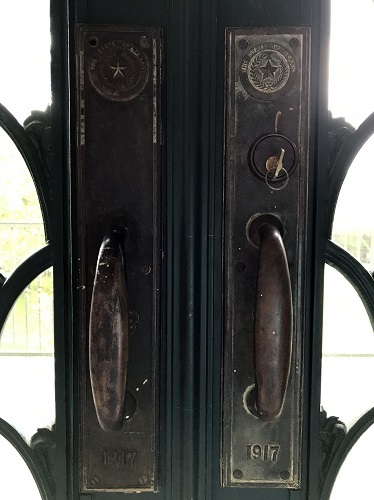 The large brass door knobs and plates are embossed with the Official Seal of the State of Texas, the scrolled initials of Land Office and dated 1917, the year they were manufactured. Over time the original home of the doors has housed the Texas General Land Office, the Department of Agriculture and the State Highway Department. Today, the building houses the offices for the Secretary of State of Texas. The building is located at 1019 Brazos Street. It was added to the National Register of Historic Places in 1998. 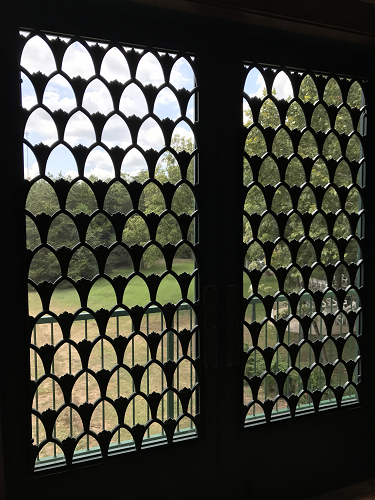 The Round Top Festival Institute acquired the doors as part of the Library architecture collection. The doors may be viewed during library hours. Please call the Institute office at 979-249-3129 for more information.